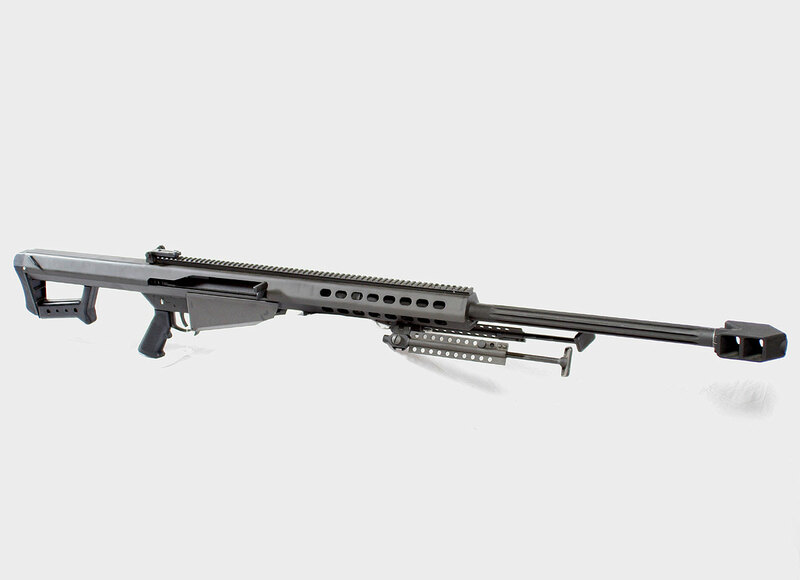 The Barrett M82A1 (M107) is a legend in its own right. That status primarily comes from their reputation from the movies, but the rifles themselves are quite impressive. 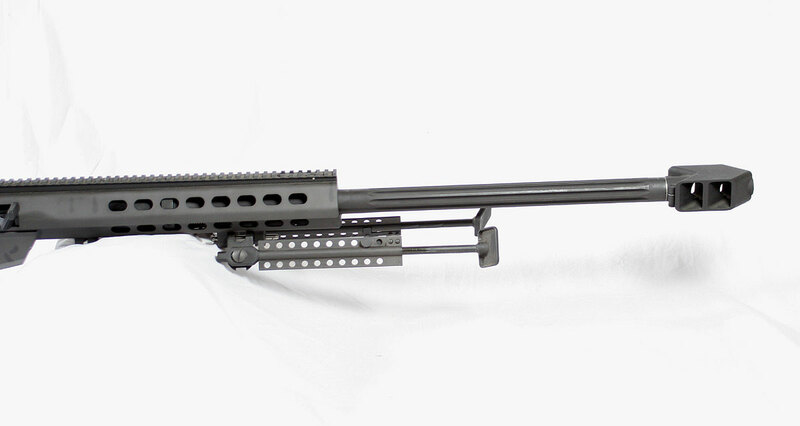 The big fluted barrel, recoiling mechanism and very effective muzzlebrake combine to make the big 50 BMG almost bearable to shoot. The accuracy is not terrible, and it works well as an anti-material rifle at very long ranges. 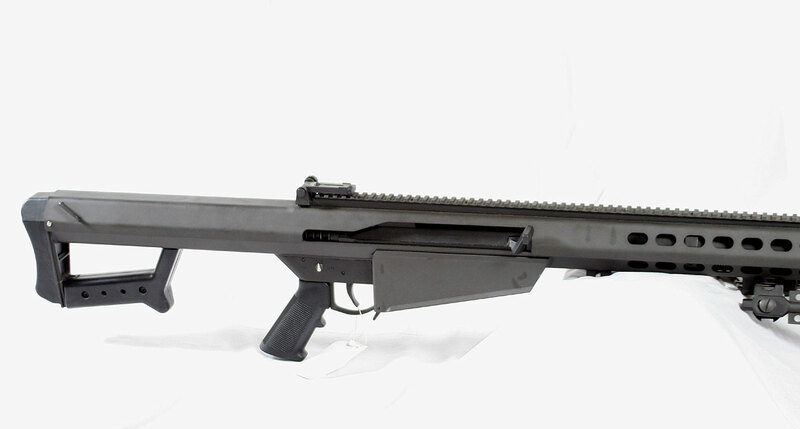 The rifle we have here is an original M82A1 that does not include optics. It is in like new condition with only very few rounds down the tube. Everything is there and the rifle is available for ownership right now. Be aware it does have a DBM and muzzlebrake which makes it illegal in some states, so be sure you can legal own it before purchasing.